Salem Tube heat exchanger tubes can also be supplied as ‘u’ bends or serpentines, manufactured according to various heat exchanger standard or to customer’s own specifications. 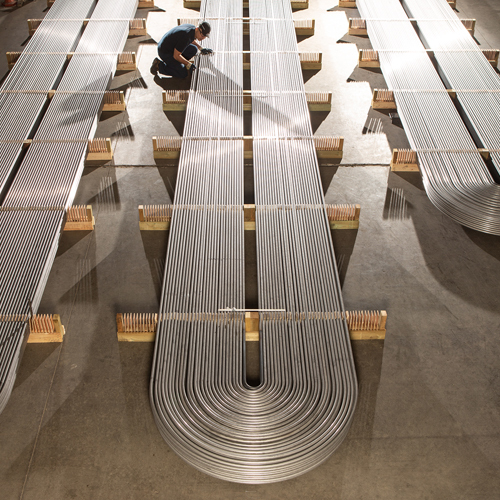 ‘U’ bends are produced, controlled and measured fully in accordance with relevant standards. All tubes are cut to the specified leg lenghts, ends deburred and the bores are internally cleaned with dried air.